The key questions answered: how much and when? Will you be temepted by this super-slim smartphone? 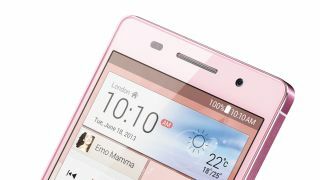 The Huawei Ascend P6 has been officially announced as the world's thinnest smartphone and it will be available from July in select markets. Huawei CEO Richard Yu confirmed that the Ascend P6 would be on sale in 19 countries by the end of July, including the UK, Australia, China, Italy and Spain. Those of you luckily enough to be in China will be able to pick up the Huawei Ascend P6 from today - with the smartphone sporting a recommended retail price of €449 SIM-free (that's around £380, $600, AU$635) - making it considerably cheaper than rival flagships such as the Samsung Galaxy S4, iPhone 5, and HTC One. There's currently no word on the US and other countries, but Huawei has confirmed that during August of this year the Ascend P6 will roll out to a total of 100 global markets, so expect this slender piece of metal to be popping up all over the shop. If you don't fancy shelling out for the handset up front you can expect the Huawei Ascend P6 to be available for free on contracts between €21 and €26 per month - so around the £25 mark if you're in the UK. The Ascend P6 measure just 6.18mm in depth making it super slender, and it manages to pack in a quad-core processor, 2GB of RAM, 8MP rear camera and 5MP front camera into its wafer thin frame.